A rich array of stars will once again descend on Eugene for the third meeting of the IAAF Diamond League this Friday and Saturday (25-26) as Hayward Field hosts the 44th edition of the Prefontaine Classic. Of all the events replete with astonishing depth – and there are many – the women’s 400m stands out, boasting the first four across the line from the IAAF World Championships London 2017. There’s Shaunae Miller-Uibo of The Bahamas, the Olympic champion who will make her 2018 debut in the one-lap event after a lightning start to the year at shorter distances, winning the Commonwealth Games 200m title in 22.09 before taking victory at the IAAF Diamond League meeting in Shanghai in 22.06. 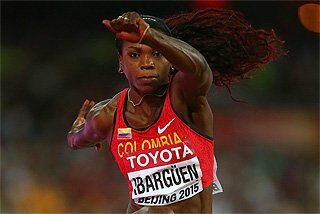 She will take on world champion Phyllis Francis and world indoor champion Courtney Okolo of USA. 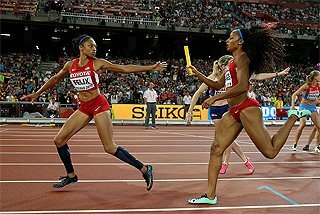 And that’s before we even get to Allyson Felix, the darling of the home crowd who, inclusive of relays, has six Olympic gold medals and 11 world titles to her name. The women’s 100m is just as loaded, pitting Olympic champion Elaine Thompson of Jamaica and world champion Tori Bowie of USA against each other. Also in the line-up is Dafne Schippers of the Netherlands, the two-time world 200m champion, though perhaps the most likely winner is Marie-Josee Ta Lou, who powered to victory in Doha earlier this month in a world-leading 10.85. Her fellow Ivorian, world indoor 60m champion Murielle Ahoure, should also be in the shake-up, along with Nigeria’s Blessing Okagbare-Ighoteguonor. The men’s 100m will be another intriguing contest, with Christian Coleman, who broke the world indoor 60m record earlier this year, competing in his first individual event of the outdoor season. China’s Su Bingtian and Britain’s Reece Prescod, a surprise winner in Shanghai this month, should give him most to think about. Less than 90 minutes after the 100m, another rising US sprint star will highlight the 200m. 20-year-old Noah Lyles has won all three of his IAAF Diamond League races to date, most recently in Doha where he set his PB of 19.83. 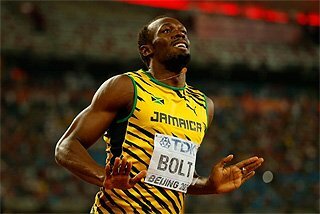 He will take on world champion Ramil Guliyev of Turkey, world bronze medallist Jereem Richards, Ameer Webb and Isaac Makwala. 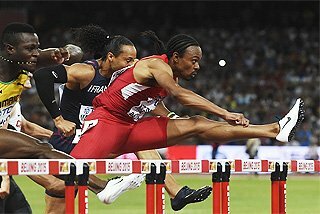 The hurdles feature line-ups worthy of a global final, with all-conquering Jamaican Omar McLeod likely to again prove peerless in the men’s 110m hurdles, though he will need to be at his best to repel the challenge of world record-holder Aries Merritt, world silver medallist Sergey Shubenkov, Olympic silver medallist Orlando Ortega and world indoor champion Andrew Pozzi. Local hero Devon Allen, a former dual-sport star at the University of Oregon, is another who could spring an upset. The women’s 400m hurdles sees Olympic champion Dalilah Muhammad face off against two-time world champion Zuzana Hejnova, though it will come as no surprise if Ashley Spencer, a superb winner here last year in 53.38, or Commonwealth champion Janieve Russell, the Jamaican who has clocked 53.78 this season, can take maximum points. 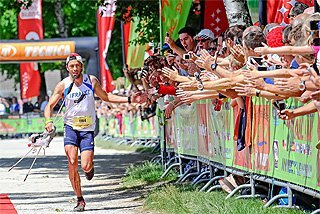 In a town like Eugene, which has a long-running love affair with distance running, there will be no shortage of masters of the endurance craft to delight the fans, with the men’s steeplechase looking a particularly captivating contest. Conseslus Kipruto has been nigh-on invincible in the event over the past two years, winning everything in sight in a variety of ways with class, charisma and no shortage of confidence. 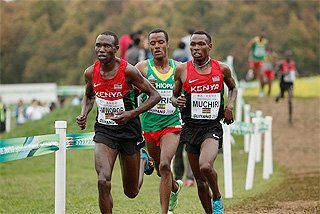 However, the 23-year-old Kenyan faces what may prove his toughest assignment of the year, with world silver medallist Soufiane El Bakkali of Morocco and Olympic silver medallist Evan Jager of USA in opposition, along with a host of fellow Kenyans looking to take his throne. On Friday night, when admission is free at Hayward Field, all eyes will be on Edward Cheserek, who will make his much-anticipated outdoor debut in the men’s two miles, a non-scoring event, after a stunning indoor campaign that saw him clock a 3:49.44 mile. In his four years at the University of Oregon, Cheserek became the most successful distance runner in NCAA history so will have plenty of support from local fans as he takes on a field that includes world 5000m champion Muktar Edris of Ethiopia and Olympic medallists Paul Chelimo and Paul Tanui of Kenya. 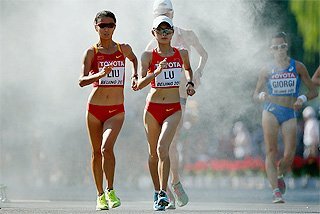 The women’s 5000m features a high-calibre clash between Kenya’s Hellen Obiri and her Ethiopian rival Genzebe Dibaba. Obiri is the fifth fastest of all time at the distance and arrives after a recent victory at the Commonwealth Games. 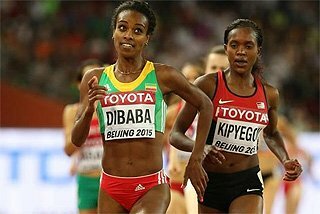 She holds the narrow 8-7 edge against Dibaba in their matchups, though Dibaba has been imperious so far in 2018, having won double gold at the IAAF World Indoor Championships in Birmingham over 1500m and 3000m. The women’s 800m should be another riveting race, with the all-conquering Caster Semenya facing the three women who have given her most to think about in recent years: Margaret Wambui, Francine Niyonsaba and Ajee Wilson. The 27-year-old South African has not been beaten since 2015, though, and after coming off a highly impressive victory over 1500m in Doha earlier this month, will likely have her eyes trained on her South African record of 1:55.16. The meeting will conclude with the Bowerman Mile, a race named in honour of the legendary late coach whose statue stands trackside at Hayward Field, and it’s a suitably sterling field. 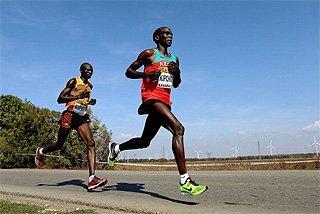 Kenya’s Elijah Manangoi and Timothy Cheruiyot, the training partners who went 1-2 at last year’s IAAF World Championships, should prove formidable. Home hopes will rest on Matthew Centrowitz, a graduate of the University of Oregon who appears to be returning to the kind of form that saw him strike Olympic gold in 2016. Many will have their eyes on 17-year-old wunderkind Jakob Ingebrigtsen, the Norwegian who last year became the youngest athlete in history to run a sub-four-minute mile. 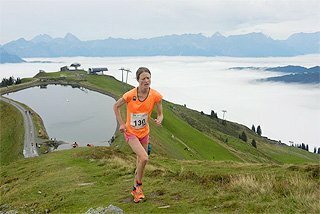 Jenny Simpson will be the headline attraction in the women’s 1500m, the 2011 world champion with a knack for savvy racing. She has been running well at longer distances over the past month, but will need to utilise every one of her gears here to repel the challenge of Britain’s Laura Muir, who claimed silver and bronze medals over 1500m and 3000m respectively at this year’s World Indoor Championships. In the men’s 800m on Friday night, Kenya’s Emmanuel Korir will prove a tough problem to solve for his competitors, having been highly impressive when winning on his seasonal debut in Doha earlier this month. However, Nijel Amos, the 2012 Olympic silver medallist who trains locally with the Oregon Track Club, should be up to that task if he has fully recovered from the injury which saw him trail home eighth in the Commonwealth Games final last month. The men’s javelin is the sole IAAF Diamond League scoring event on Friday night, and if recent results are anything to go by, it’s one not to be missed. German trio Johannes Vetter, Thomas Rohler and Andreas Hofmann – who have all surpassed 90 metres this year – will take to the runway and undoubtedly give in-field cameramen plenty of cause for concern as the spears soar through the air. World champion Vetter unfurled his monster world lead of 92.70m in Leiria, Portugal, back in March, then had the misfortune to come up against Rohler in Doha, where his 91.56m was edged by his compatriot’s 91.78m. Hoffman, meanwhile, joined the 91-metre club last weekend in Rehlingen, Germany, where his PB of 91.44m came in the opening round. The men’s shot put is so replete with class that it’s hard to know where to start, but here goes: there’s world leader and world champion Tom Walsh, Olympic champion Ryan Crouser, 2015 world champion Joe Kovacs, 2011 and 2013 world champion David Storl, two-time world indoor champion Ryan Whiting, and rising star Konrad Bukowiecki, who surpassed 22 metres for the first time back in February. Last year’s men’s triple jump proved the highlight of the meeting, and with Christian Taylor and Will Claye back in the line-up this weekend, there’s every chance they will steal the show again. Taylor recently soared to 17.81m in Doha, and makes no secret of his affinity for this Hayward Field runway. 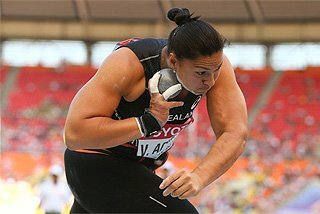 The women’s pole vault will feature a formidable trio of US athletes battling a decorated international field, which includes Olympic and world champion Katerina Stefanidi of Greece, Olympic bronze medallist Eliza McCartney of New Zealand and Commonwealth Games champion Alysha Newman of Canada. However, Jenn Suhr, Katie Nageotte and Sandi Morris will be hoping to secure maximum points on home turf, and given all three have cleared 4.88m or higher this year, one of them should do so. 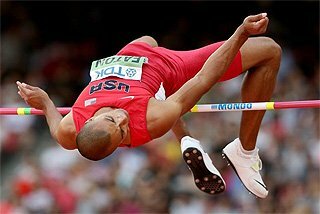 The men’s high jump will throw up another intriguing duel between neutral athlete Danil Lysenko and Bahrain’s Mutaz Essa Barshim. When they last clashed at the IAAF World Indoor Championships in March, Lysenko edged Barshim to gold, but since then the Qatari has found his inimitable spring, clearing 2.40m earlier this month in Doha. The men’s pole vault on Friday is not a scoring event, but still features a line-up worthy of an Olympic final, with world record-holder Renaud Lavillenie, Olympic champion Thiago Braz, 2015 world champion Shawn Barber, Polish pair Pawel Wojciechowski and Piotr Lisek and Swedish star Armand Duplantis all set to soar into the night sky in Eugene.